Electrical impedance mammography is a non-invasive, safe method of mammary glands examination. 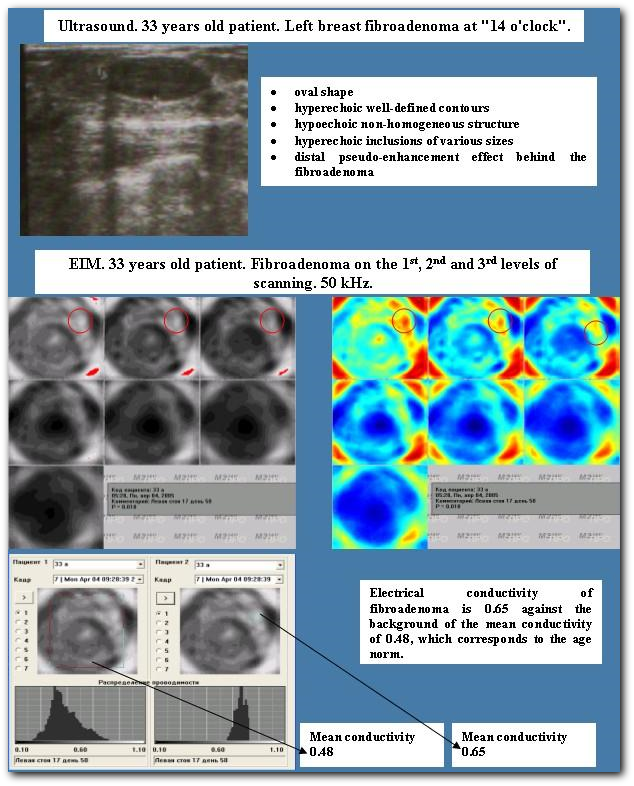 The examination is carried out with a multi-frequency electrical impedance mammograph MEM. 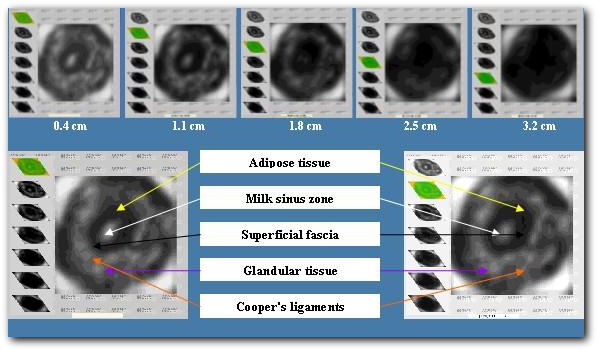 Visually assess anatomical landmarks at various depth of scanning (figure 1). 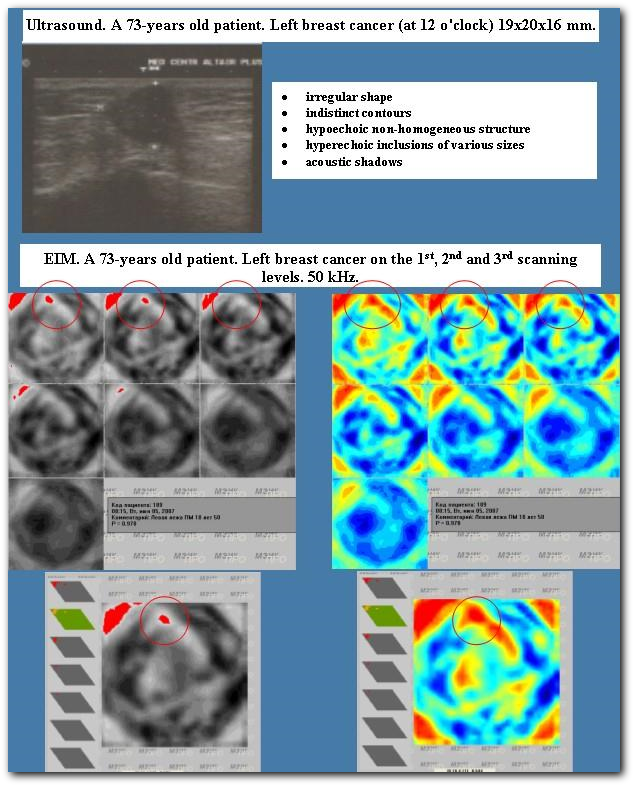 The obtained images correspond to cross-sections of the breast, which are parallel to the chest. Determine the type of the breast structure (juvenile, reproductive, pre-menopausal, post-menopausal). Figure 1. Electrical impedance anatomy of the mammary gland (50 kHz). 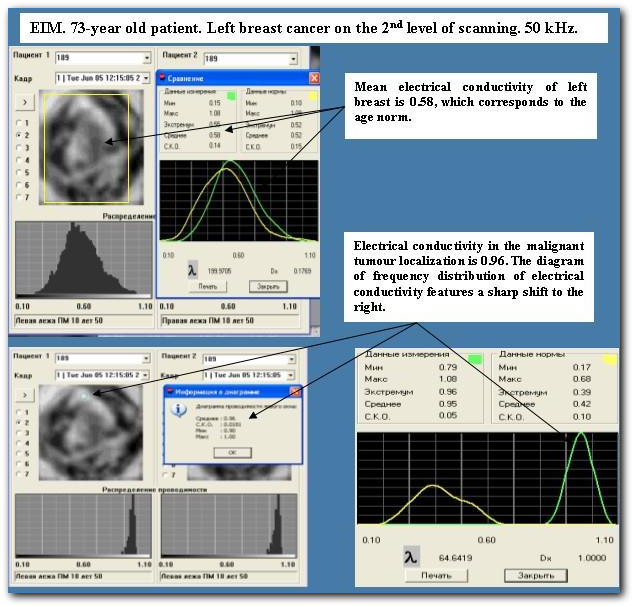 Determine the indices of mean, minimal and maximal electrical conductivity of breast at various depth of scanning in a specific area and carry out comparison with the norm. Figure 2. 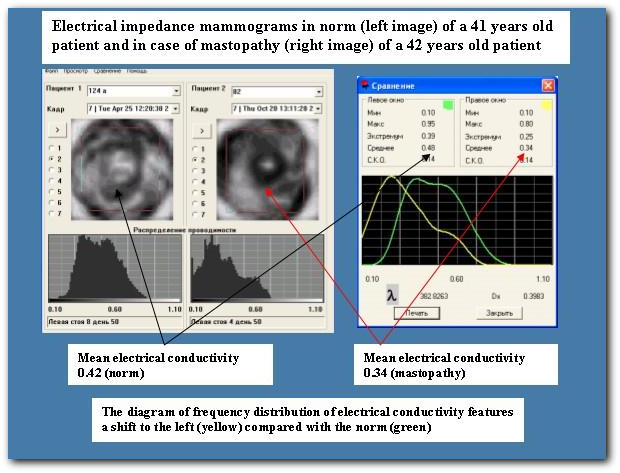 Electrical impedance mammography and ultrasound examination in the norm and in case of mastopathy. Figure 3. 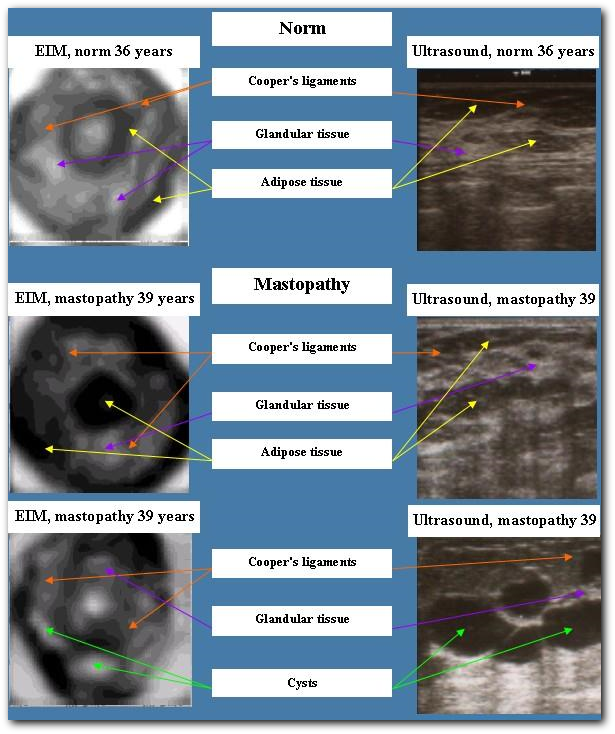 Indices of mean electrical conductivity in the norm and in case of mastopathy. Diagnose solitary and multiple cysts of mammary glands. Figure 5. Left breast cancer.